Germany, and Japan that the Indexrights team had the privilege of visiting, to talk about what we saw at the event, and to introduce some of the incredible Japanese firms that are leading the Japanese manufacturing industry. These firms all boast highly unique technologies and products, and at the expo, there were business negotiations happening at many booths at all times. But, a lot of these companies are still relatively unknown globally, and we realized it is important for us to help raise the visibility of these firms. Therefore, we, the Indexrights team, are going to continue visiting trade fairs around the world, and keep spreading the word about the amazing technologies and products that these Japanese firms offer. February 10 ? 13, at the Anaheim Conference Center in Anaheim, California. Mr. Ozawa, the sales Manger at Tokyo Titanium(oop), says that he felt German customers like to check the quality of a product before discussing price as the Japanese do, but US customers tend to find out about the price before checking the quality. Also, many visitors expect decisions to be made immediately. During the exhibition, a customer tried to buy 2 titanium tweezers and asked whether they take cash or credit card, but Mr. Ozawa had to explain that the exhibited products can’t be sold due to tax reasons, and when they sent an estimate later the person didn’t bother to reply. He added that, because the expo was smaller than MEDICA, it was a better place to go for gathering information. Mikami Corporation is a company that specializes in precision machining of automobile parts, light current electrical parts, hydraulic / pneumatic parts, and machine parts. They handle heat and surface treatments, and offer complete fabrication of components from the sample stage all the way to the finished mass- production stage. They are experts at cutting on NC automatic lathes and NC lathes, as well as milling, drilling and tapping on machining centers, of materials such as metal, copper, brass, aluminum, and stainless steel. In developing accelerometers, pressure censors, and temperature censors, they succeeded in mass-producing by machine a product so thin it could be crushed by the human hand. They produce metal surfaces as thin as 0.1mm needed for censors, and boast surface roughness of 0.8s for bore mirror surface finishing. Since 1967, they have dedicated themselves to the art of lathe processing of components, and even when faced with a difficult task they utilize cutting-edge technologies and 47 years of experience to get optimal results. They also carry out inspections with digital measuring instruments and include the results with the final products if requested. You can expect them to uphold their motto of “high quality, high craftsmanship and high productivity” in every aspect of their manufacturing. Imaizumi Industry Co., Ltd. specializes in processing precision sheet metals used in banking machine, semiconductor & liquid crystal manufacturing equipment, IT communication device, medical equipment, and nuclear power related equipment applications. Their expertise lies in laser machining, round chamfering, and laser welding, for small quantity prototypes or large quantity production. In regard to laser processing, they utilize German brand Trumpf’s punch laser machine for a clean cut with no burr or burn. As for round chamfering, they have cutting-edge machinery to properly process surfaces that are hard to sand, or inside surfaces of holes, with low variability. It turns out beautifully smooth, and is perfect for products that hands will touch. For laser welding, they use YAG laser processing. Because of its low heat input, it does not result in much deformation or discoloration. They have adopted the CW welding method instead of pulsed welding for deep welding that permeates the materials, allowing for a quick, beautiful but strong weld. They can work with sheet metal with thickness ranging from 0.03mm to 19mm. 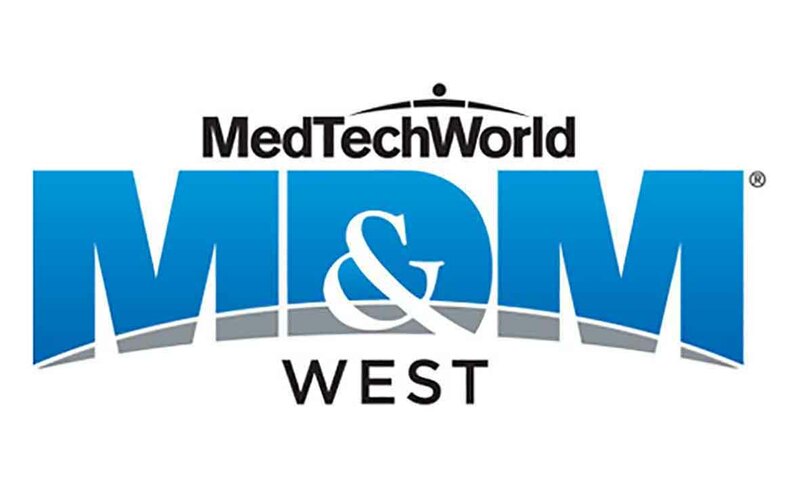 They also participate in the MD&M WEST held in Anaheim, California every year, and have been actively taking processing orders from overseas clients. Metal component processing company Onox MTT specializes in various types of precision sheet metal processing, from designing sample / one- off electronic instruments & office automation equipment to manufacturing small / medium-lot production of various products. Their expertise lies in pipe processing, high-speed laser, punching, punching & laser, YAG laser (cutting / welding), and bending. Recently they have developed a new pipe processing method in which they perform flexible pipe laser cutting with high accuracy to create new designs in a timely fashion. They boast machining ability (sheet thickness) of 0.5mm to 6.4mm. The precision cut pipes are used in the frame structure of examination tables, and the complex shapes at the both ends of the pipe, as well as flexible bends can be created with laser at the same time. Even with high tensile strength steel thin wall tubes used in bicycle frames, they can handle it in one go with laser, achieving greater efficiency. They work together with the client through the designing stage and can offer the most efficient methods of production based on technological skills and know-how acquired over the last 42 years. Dainichi Co., Ltd. is an ultra-precision metal processing company that specializes in hole drilling. They handle micro combined machining of metals, small diameter deep hole drilling & honing, and even polishing carbide drills & probe points for reuse. They offer integrated production from hardening, polishing to surface treatments. Using combined machine tools usually used for mass-production of precision machinery parts in their own way for metal cutting, they have developed a manufacturing system that can produce ultra- precision sample products with high accuracy starting at one unit. It can be used for various tasks such as micro hole precision cutting, dealing with diameters as small as Φ0.02mm, cutting out a piece as thin as a mechanical pencil lead from a Φ6 material, or cutting a rice grain sized metal product. It can also handle difficult-to-machine materials like titanium, Inconel, hastelloy, and SUS304, 630 & 316L. They take small orders starting at one unit. Some major machinery used includes compound NC lathe, micro hole drilling machine, gun drill, honing machine and machining center. They have also branched out intro the world of medical equipment, making metal parts used in surgery, plastic surgery, neurosurgery, otorhinolaryngology, and dentistry applications.